Air Max Day is here – marking an entire year since the Air VaporMax was born. 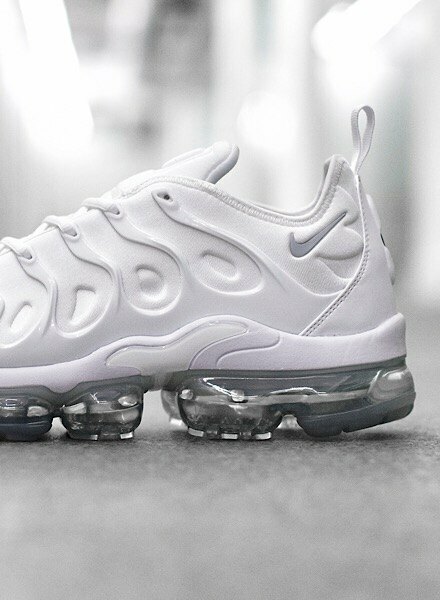 The VaporMax is Nike’s biggest evolution in Air since its inception in ‘87. With a reported 15 + years of research and countless popped airbags…this trainer was a long time in the making. But it was so worth the wait! 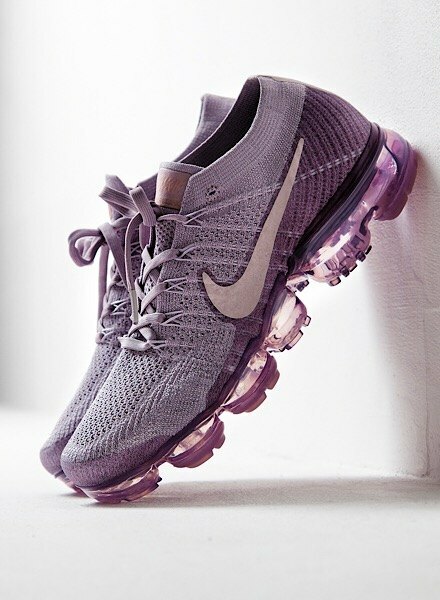 Where other Air Max models fill the sole with maximum Air, the VaporMax focuses on using less air in a more efficient manner. The Nike designers were able to pinpoint the air needed, as well as the air placement that’s essential to give the ultimate ride. Equipped with a piston-like system that uses the lug to manage pressure release with each step….when the pressure releases, that’s when you get that unbeatable bounce! 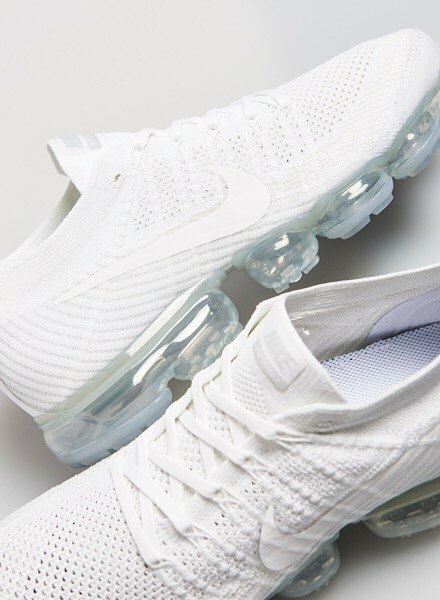 The Flyknit version of the VaporMax is made up of over 39,000 parts and is 4 ounces lighter that the Air Max 2017 – so no surprise it’s a hit with runners and urban explorers alike. It’s easy to style up, pairing with jeans or track pants as a cross-over, street-ready hit. The Pinnacle of Air has come a long way already since last year’s JD instant sell out launch. With various smoking hot colourways, the winterised Mesh upper version and most recently the FlyKnit 2 landing and flying out across JD. 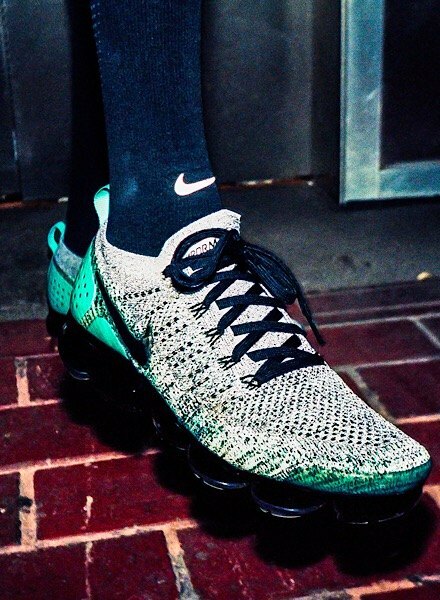 The Swoosh’s VaporMax has also been the sneaker of choice for countless celebs, including Pippa Middleton(! ), Justin Bieber and Drake to name a few! Keep your eyes peeled for new and exclusive VaporMax colourways landing very soon @JD. Wanna’ know more? Check out the rest of the Air Max Icons series, including the 90, 95 and 97.